Our Above and Beyond the Call (ABC) to close out 2016 is Toni Werner, a dedicated wife, mother, and community volunteer who works hard to lend a hand to those in need and to bring that dedication to everything else that she sets her mind to. Her love and devotion to her family is evident every day, and her strong desire to help others is something that makes her so special, and our ABC for December. Toni has been married for 13 years and she has two beautiful children, a daughter 11 years old and a son 9 years old. The family are members of the Trinity United Methodist Church in Harrison Township. Trinity Methodist members are not only devoted Christians, but also strong believers in community outreach. And, Toni fits right in. She has volunteered as the business manager for the past three years with the non-profit “In Between Girls,” a mentoring program that matches girls 8 to 12 years old with girls between 17 and 18 years old. The group meets twice a month with a new and different topic each month, that can help young girls become strong adults. Toni also is the Assistant Director and Food Coordinator for the past five years of the church’s food program called “Your Place at the Table,” which provides food to those in need in Harrison and East Greenwich Townships. She also works in providing special meals to more than forty families during Easter, Thanksgiving and Christmas, and provides Christmas gifts as well. She works with the local schools to find families that qualify for the free lunch programs that would best benefit from the churches generosity. Toni also works with a program called “Random Acts of Kindness.” This program works with the church youth groups by providing gift cards to them that they can then give away to people less fortunate that they come across in their everyday activities. The decisions as to who to give the cards to and for what is totally up to the young people. What a great way to teach compassion to our youth! As if all of this is not enough, Toni is very involved in another program called “Life Cycles.” This program teams up church members and the elderly in the community providing visitations in their homes a few times each month to sit and talk, or do things together. The amount of joy these visits provide to the elderly is incredible. As you can see Toni is indeed a special person. Wife, mother and community activist. We here at The Heart of South Jersey love Toni’s generosity, and the way she models how to “pay it forward”. The Heart’s Above and Beyond the Call (ABC) for November 2016 is Melissa Lukach. Melissa is a stay at home mom who has a strong love for her family and a genuine desire to give back. She is married and the mother of two young girls 2 and 4 years old. 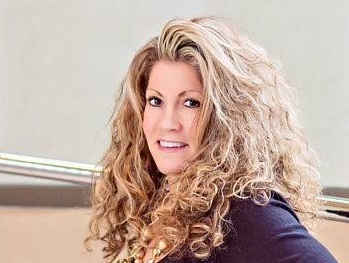 Melissa worked for several years in public relations within the health insurance industry. Trying to keep her career in high gear and raising two children proved to be a challenge. So, two years ago, she came to a crossroad in her life and made the decision to leave her position and dedicate her life full time to raising her two children. Melissa felt that her family was the most important thing to her and that she should do all she could to strengthen and raise her family the best she could. It was a bold move, and one that so many others wish they had the courage to do. A little over a year ago Melissa felt the need to give back in some way to the community by helping others through her career training and talent. Melissa is an excellent and well organized writer, as illustrated by her many contributions to this newsletter. She sought out ways that she could use that talent to assist agencies or people who help others. The first step she took on this journey was to reach out to the Volunteer Center of South Jersey, through their online Volunteer Match and Management site. Melissa was referred to the Heart of South Jersey. Utilizing her background in PR, research and writing, she fit right in with our program and is a valuable asset. 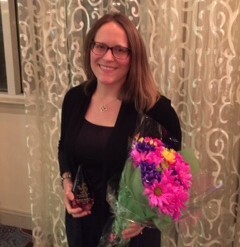 For her efforts in article contribution, research and ideas to help with the Heart of South Jersey’s mission, Melissa was honored as a Volunteer of the Year, by the Volunteer Center of South Jersey at their Spirit of Community 2016 awards ceremony on October 27th at The Mansion in Voorhees . Melissa also volunteers her time as Chair of the West End Elementary School fund raising committee, and for other volunteer positions involving the school. She feels that being there for her family and giving back in some way to her community completes her dream of a wonderful life. We at the Heart of South Jersey are so proud of Melissa for her efforts to build a strong family, while still finding the time to help others. And, that is what the Heart of South Jersey is all about. The Heart’s Above and Beyond the Call (ABC) winner for October 2016 is Jay Lapp. Jay is a very active member of the community and a friend of People for People and the Heart of South Jersey. He can also be found lending a hand to many other causes and organizations throughout the area. Jay has a wide and diverse resume of organizations he volunteers his time to. He has served as a volunteer for the past seven years at the Gloucester County Animal Shelter in Clayton to satisfy his love of animals and his desire to keep them safe. It is hard work, but Jay states that it is satisfying to know he is making a difference in animal’s lives. For the past four years Jay has served as a volunteer with the Housing Authority of the Borough of Glassboro and currently serves as the Vice-Chair of the organization. He deals with multiple housing issues and is always available to work with tenants in need. Jay also serves on the Washington Township Historic Preservation Commission and volunteers many hours to their Olde Stone House project. With all of the above mentioned causes Jay is involved with you would think that he has little time for himself. But there is more. He has for the past several years volunteered at the Gloucester County 4H Fair working in the kitchen and the serving line for the 4H Fair’s fund raising BBQ dinner. He is so dedicated that he worked one year in a leg cast. He is always the first to show up and the last to leave. Jay has a desire to help veterans’ causes as well and can always be counted on to volunteer for the Annual People for People Vets Picnic and local VFW events, and has done so for many years. He is also involved in the People for People/Heart of South Jersey “Wreaths of Remembrance” program which lays hundreds of holiday wreaths every year at the Gloucester County Veterans Memorial Cemetery in Monroe Township. The thing most impressive about Jay is he is so willing to help others where needed, and to do so with a big smile. You can tell that Jay is the happiest when he is lending a hand where needed and helping others. People for People and the Heart are so happy that we have a man of such dedication on our side, and many other organizations and causes do as well. Brenna Weick is a 23 year old graduate of High Point University where she received her BS in Psychology. Brenna aspires to obtain a Masters Degree in Journalism and is ultimately looking to work in the field of television production. Brenna is also a longtime friend, volunteer and intern of Volunteer Center of South Jersey. Brenna Weick is a young woman that gives back. Her efforts are nothing short of amazing in promoting her volunteerism platform. Her selfless personality and drive is both genuine and contagious. This enables her to be a true leader, not only within her own millennial generation, but for our entire community. And, it is this attribute that is critical to the continuance of the "Pay It Forward" movement throughout NJ and across our nation. When you meet Brenna, you know that volunteerism is simply a trait of her personality. Her passion and ingenuity have been an integral part of promoting the Volunteer Center of South Jersey's mission. Through her social media campaigns in 2015 #keepcalmandvolunteeron, she brought numerous individuals to VCSJ. This has allowed us to connect them to new opportunities and bring the hope that, they begin or continue a lifelong journey of volunteerism. Brenna's warm, engaging and bright personality enhances her natural talent to help others. This year in 2016, she has taken her platform to a new level. 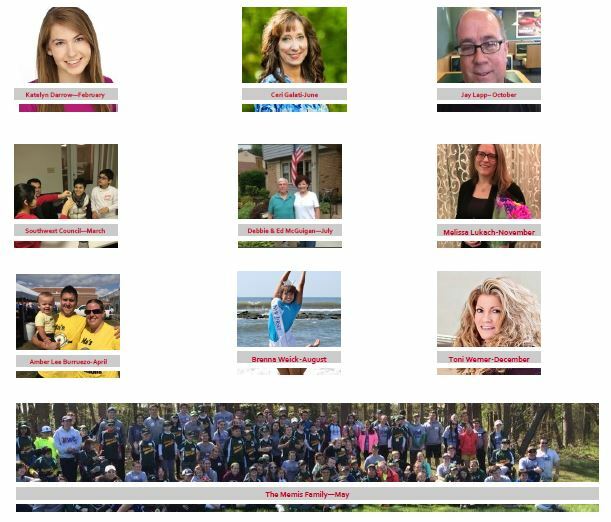 Through a community Facebook page, @NavigatingTheCyberSphere, Brenna's efforts help curious parents, kids and the community-at-large to gain a better understanding of social media and its many benefits and detriments. "The more we know about the cybersphere, the more safely and efficiently we can use it! ", recently posted by Brenna. Brenna always brings professionalism and grace to everything she does for the non-profit community. Her story with VCSJ dates back several years ago when she found us and we knew instantly that she was special. As she continued an internship with us during the summer of 2013 and 2014, her contributions in the office and in the community were, and still are, highly valued. No matter the project or task at hand, she gave 110%. In October 2014, Brenna was nominated for the National Presidential Gold Award, which she received at the VCSJ Annual Spirit of Community event. Throughout her college career, Brenna participated in VCSJ when she could, including events like Read Across the Globe 2015 (a Points of Light initiative). During her summers she and her family continue to collect and contribute to Operation Backpack, a Center for Family Services annual school supply campaign. The Heart Above and Beyond the Call (ABC) for July is a married couple who have been working together most of their lives, giving back to others. Debbie and Ed McGuigan are a loving and caring couple who, after meeting them, you leave with great admiration and respect for all they have done and are still doing. They are a kind and gentle couple who have great love for each other and for their fellow man. Ed served four years in the Air Force and is a Vietnam veteran who served in country 1969/1970 as a Medic. Even then his call to help others exceeded the norm when he volunteered to go to local orphanages in Vietnam to help where he could. He is a proud veteran and has a great respect for veterans of all eras. 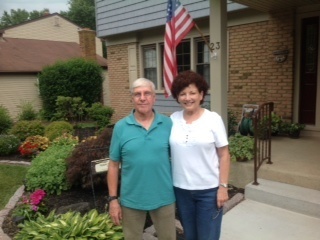 Ed met his wonderful wife Debbie after his military service while attending college at Trenton State. They have been married for forty years and have two sons and daughter-in laws and four grandchildren who they are very proud of. Like Ed, Debbie’s desire to serve others started at an early age. After college and marriage Ed worked in various nonprofit agencies and eventually went to work in the Burlington Township Schools System and Debbie was a Highland High School nurse. Ed retired as a District Supervisor in 2012 and Debbie followed soon after. The list of organizations they belong to and head up is very impressive and telling. They are members of Holy Family Catholic Church in Sewell where they are in the Stephen Ministry and leadership positions with the St Vincent DePaul Society which offers guidance, mentoring and assistance. Debbie has assisted with the CCD program and both are dedicated to their church community. A great love that they share is flowers and gardening. Both are Gloucester County Volunteer Certified Gardeners and do extensive work at the Gloucester County Veteran Memorial Cemetery, the Old Stone House as well as Whithall at Red Bank, and other locations. All you have to see is their beautiful front and back yards to know they are wonderful in what they do. Ed’s relationship with the Heart started when Bernadette and I served together with Ed on the South West Long Term Recovery Group for Super Storm Sandy executive committee. 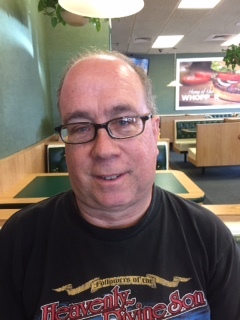 Ed brought to the group years of experience as a trained “Community Emergency Response Team (CERT) member as well as his training with emergency management support through his school district. Moving forward People for People and the Heart will be starting the Gloucester County Volunteer Organizations Active in Disaster (VOAD) and Ed has agreed to take an active role in that initiative. My hope is the things I do makes a positive difference on a personal level. I receive personal one-on-one calls from so many people. Most of the time they just want to talk or be heard, but if there is something that needs to be done, as long as I am able, I will get it done. Sometimes I sit with a family member at an assisted living community to take away the loneliness or take some of my singing kids to serenade them, other times I will take children in for a sleep over if parents are overwhelmed. Often I will get calls from struggling new mothers seeking my advice. Originally I went to school to become a police officer and was a cadet through high school. I fell in love with my legal classes during college and continued with my paralegal certification immediately following graduation. Almost 25 year later I am still employed by Mattioni Ltd attorneys. They have truly become an extended part of my family. 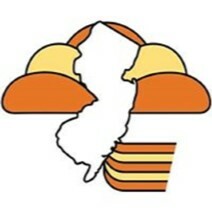 I currently work out of their New Jersey office that is located in Swedesboro. In January 2012 I started a business networking group called New Visions with my counterpart, Krista Collings. Every month we have a meeting spotlighting a different industry and business in Gloucester County. We started with 17 industries represented and today we have over 65 industries represented. I also volunteer as a Trustee with the Chapel of Four Chaplains, Board member of the Economic Development Committee for Swedesboro, as well as a Gloucester County Chamber of Commerce and the Greater Swedesboro Business Association volunteer. I also am a motivational speaker for troubled and pregnant teens as well as parents who have lost their children. I hope I have rubbed off on my children a little bit as they have and do donate their time to: the Alzheimer’s Association, sports camps, camps for children with cancer, Happiness is Camping, Habitat for Humanity, my son is a minister, fireman, works with local civic organizations, the Special Olympics, area theater companies. I have had 6 children. I had my first at a very early age, and since then have been able to give motivational speeches to troubled and pregnant teens. Some of the audiences have been the medical professionals, parents, and teens. Each speech is geared towards the appropriate audience. communities, rehabilitation facilities and other venues raising money for local charities. So far, we have raised over $10,000.00 for the Alzheimer’s Association, local theaters, children’s group homes, and other deserving local organizations. In honor of my last child who passed away over 13 years ago, I started a group called “Cardinal and Billy Bird Creations”. We crochet blankets and hats for babies who might not be coming home with mom right away. This way, she has something tangible to bring home with her until baby gets better. We also make blankets for the older siblings so they have something to hold until they get to meet their baby sister or brother. I have been fortunate enough to be named Woman to Watch with SJ Biz magazine in 2014, Woman of the Year through South Jersey magazine in 2015 and Woman of the Year for Gloucester Living magazine 2016. I don’t do things for accolades or awards, in fact, they often embarrass me. I do things for others because it makes me feel good. That, I suppose, makes me selfish.